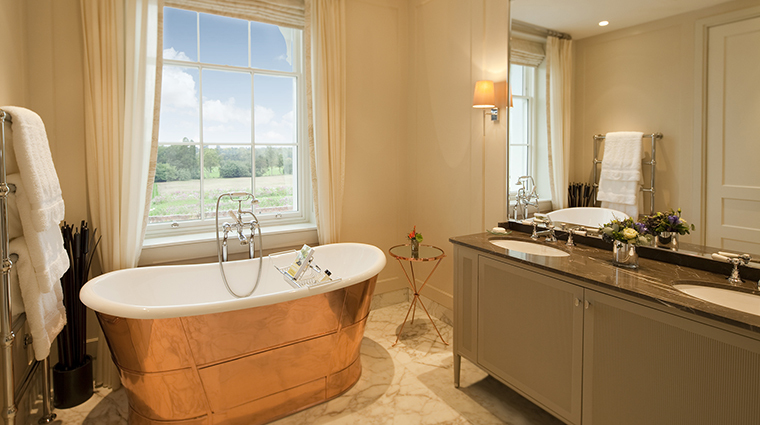 Located on the outskirts of the historic Windsor Great Park almost an hour outside of London, Coworth Park is a flawless marriage between classic Georgian-style aesthetics and contemporary amenities. 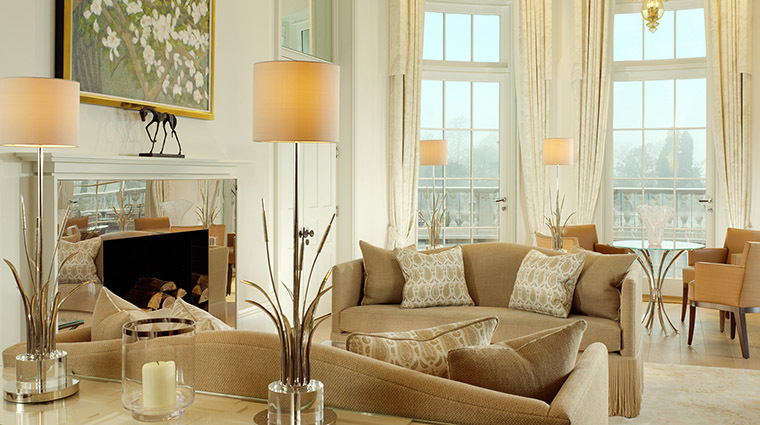 Add on a sprawling 240 acres meant for exploring, and Coworth proves to be an undeniable attraction. 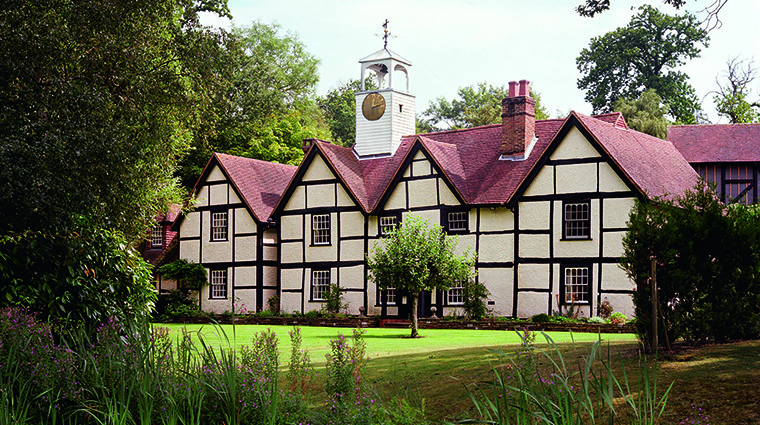 Choose rooms in the main Manor House, or opt for more privacy in the cottages or stable during your stay. And you'll be able to keep the hunger pangs at bay with an upscale meal at Restaurant Coworth Park (to sample classic local fare, opt for the prix fixe Best of British Menu) or a comfort dish such as fish and chips at The Barn. • At the onsite equestemateur riders and seasoned competitors alike will find one-on-one or group lessons available, as well as the ability to go off on your own and explore the lush acres. 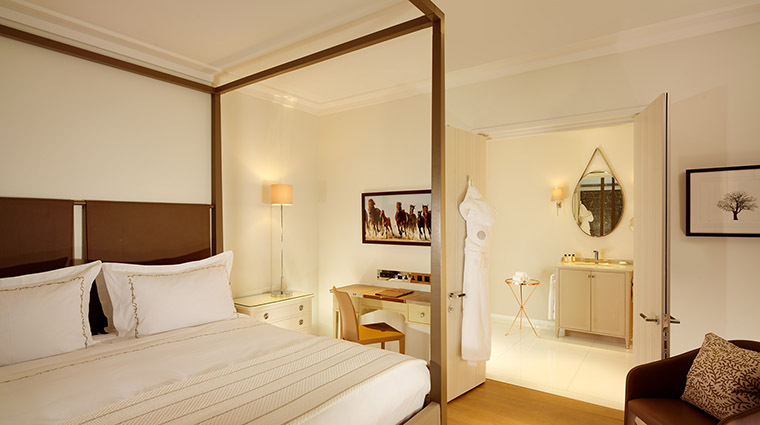 • When you tire of the physical activities, find respite at the two-floor eco-conscious spa, outfitted with a Spatisserie for enjoying light bites and a sun terrace for soaking up rays. 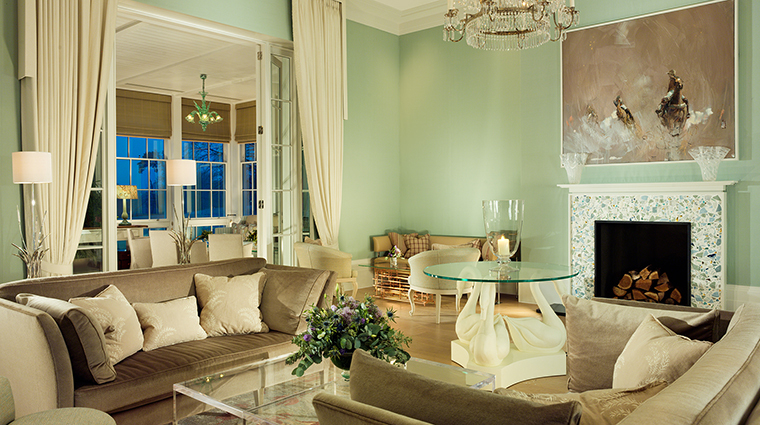 • The upscale ambience at Coworth Park makes it an ideal for those looking to relax in only the chicest surroundings. 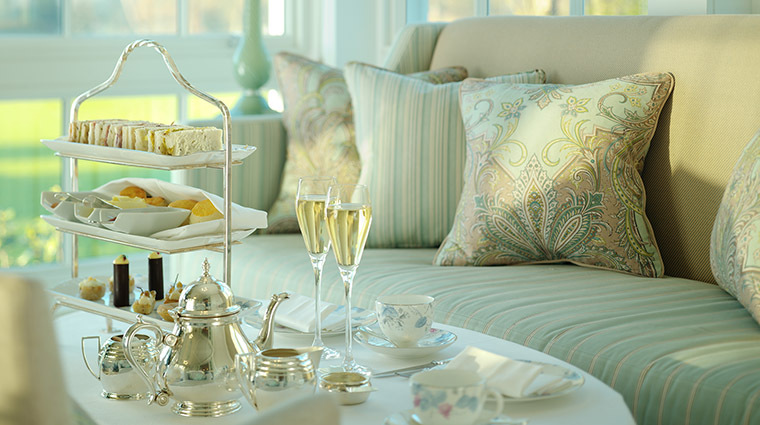 Settle in by the fire for tea served in a silver pot, or linger in the drawing room where you can indulge in a glass of champagne and look out over the grounds. 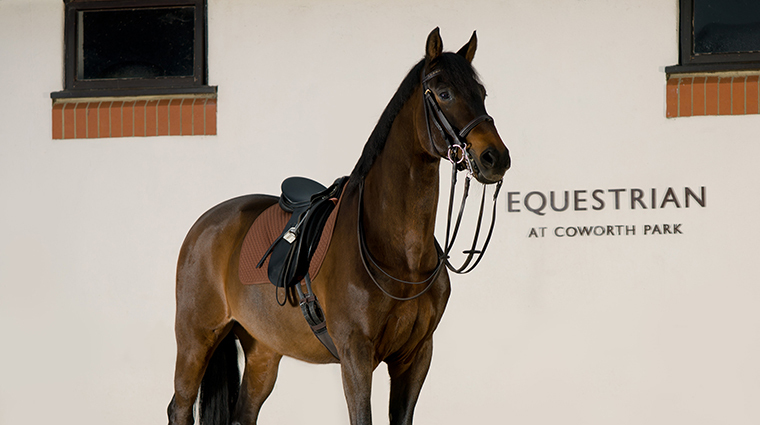 • Even though London is close enough for a day trip, Coworth Park still feels remote — the country estate is perfect for equestrians, golfers, those who want to explore nature and for luxury spa lovers. 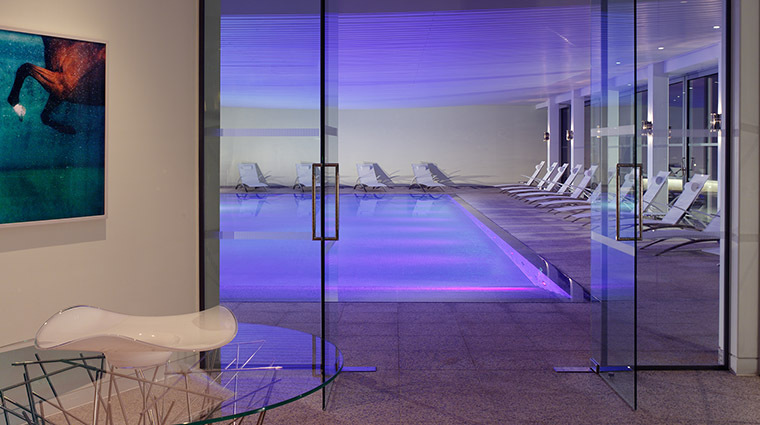 • Coworth Park is a well-known family destination and there are tons of activities for kids (treasure hunts, cookie baking, Nintendo Wii tournaments) that will keep them occupied and blissfully entertained for hours. 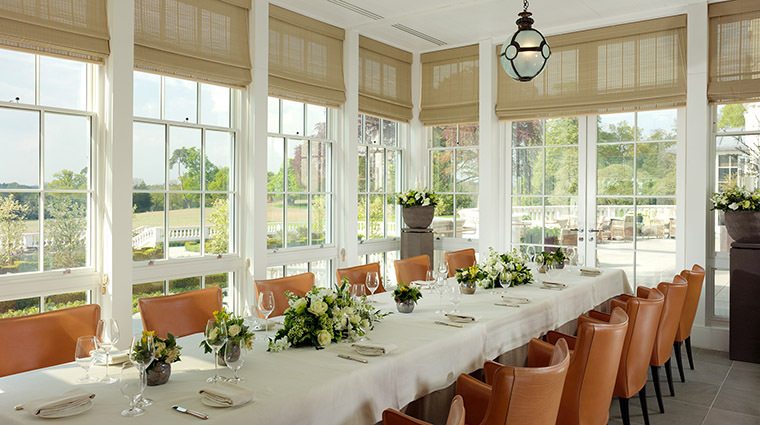 • The most unusual amenity at the Dorchester Collection hotel is the polo fields. 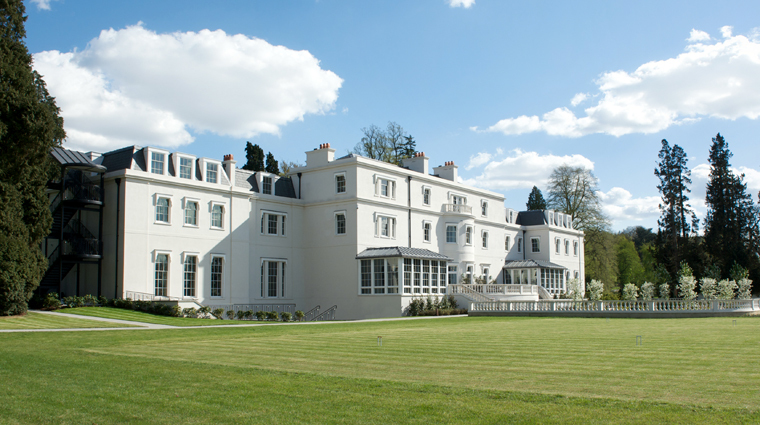 Coworth Park is the only hotel in the U.K. with its own polo grounds. • The estate is ideal to stroll around and take in the countryside (go ahead and walk into Windsor Great Park and keep an eye out for deer). 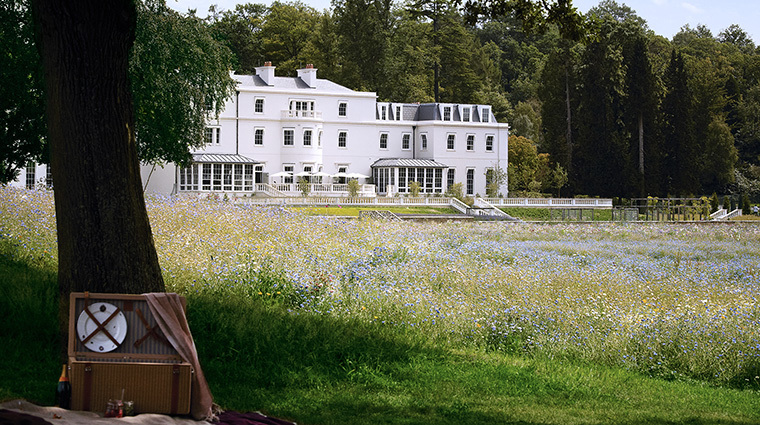 While Coworth Park is lovely all year long, in the springtime it is resplendent with flowers and greenery. 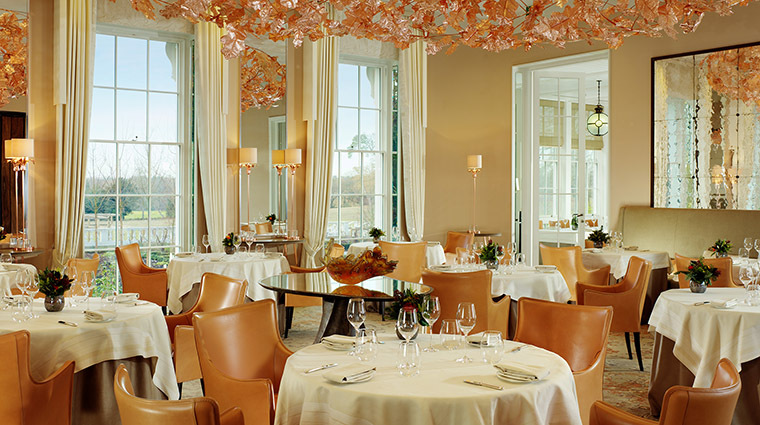 • Because Coworth Park’s main restaurant is celebrated and perennially popular with both guests and non-guests, you will want to book in advance. 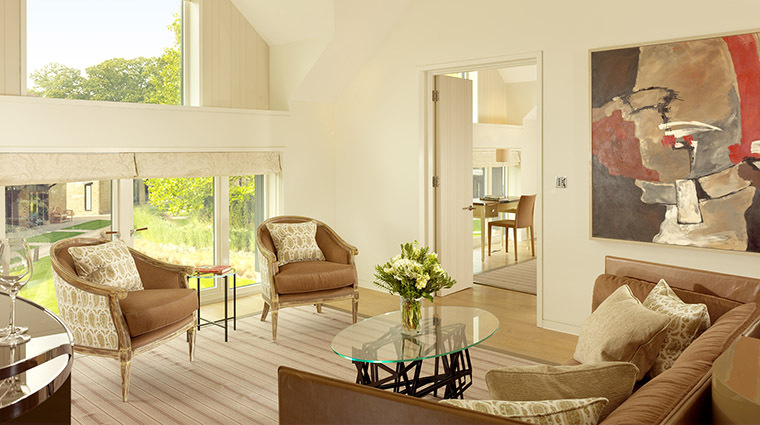 • Wherever you choose to rest your head, the décor emits a sense of serenity with neutral tones and English smoked oak flooring paired with modern touches such as Bang and Olufsen TVs and Nespresso machines. • The bathrooms here are are true treat with heated floors, rainfall showerheads and countryside vistas. 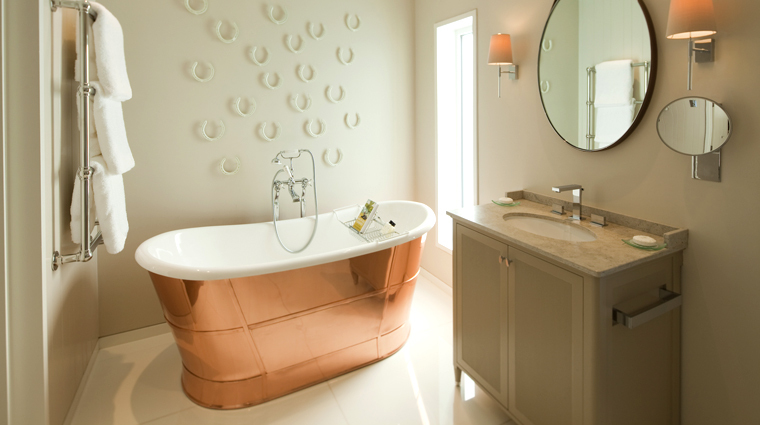 Baths vary from room to room — some have copper soaking bathtubs, while others have deep marble-ensconced tubs. 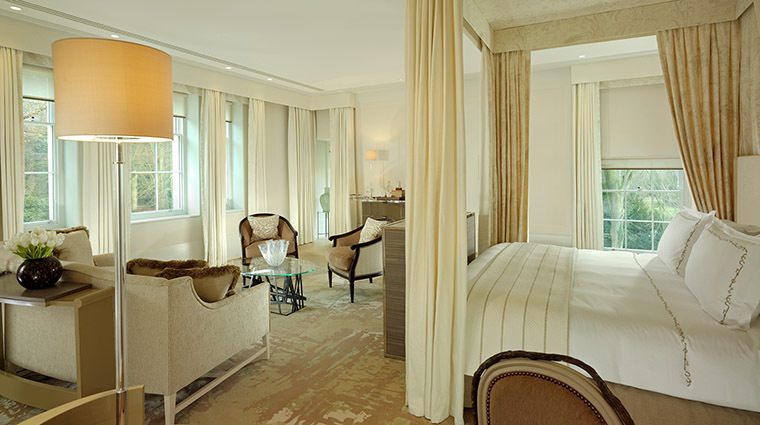 • Each guest room at Coworth Park is unique, whether it’s within the warm, charming Georgian-style Mansion House or the chic, more contemporary refurbished stables. 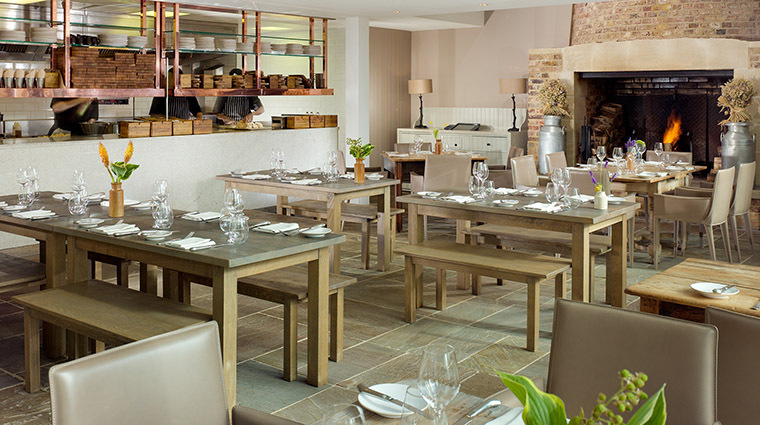 • Choose from three spots to eat: the Restaurant at Coworth Park for classic fine dining dishes with a modern twist, The Barn for comfort food and a rustic atmosphere, and The Spatisserie for lighter bites and afternoon tea. • Inside the Mansion House you'll find the Restaurant at Coworth Park, plus a The Bar at Coworth Park (serving a wide range of bespoke cocktails) and the Drawing Room, which hosts afternoon tea and lighter meals. • The Barn is located next to the converted stables and cottages and has atmosphere to spare — it is housed in an original barn frame and has a stone fireplace and a picture windows that you can see the estate's polo fields through. The seasonal brasserie-style dishes make this a casual, but still genteel, spot for a bite.